Just one month after its enactment, Zimbabwe is hitting pause on its medical cannabis program to rectify multiple issues with the original law. The country’s MMJ program has been put on hold over compliance issues with various United Nations treaties as well as domestic accessibility issues, Marijuana Business Daily has learned. Zimbabwe’s updated regulations will be unveiled within six months, according to an industry source who requested anonymity because he is not permitted to speak with the media. Zimbabwe’s announcement last month made it only the second country in Africa to lay the groundwork for an MMJ industry. Experts say that was enough to create the framework for an export industry, but the law did not establish how patients could become authorized within the country. The new law is expected to address that gap by adding to the old one. The move to take a step back on medical cannabis was welcomed by local investors. 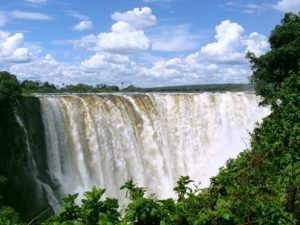 Zimbabwe’s original regulations are similar in many respects to how Health Canada regulates medical marijuana, which could help international companies familiar with Canada’s system to eventually tap the new market. “If you’re not having deja vu, you should be, because many provisions in their legislation appear to have been copied directly from the ACMPR (Access to Cannabis for Medical Purposes Regulations, Canada’s MMJ framework),” said Trina Fraser, a business lawyer at Brazeau Seller Law and adviser to licensed producers. Regulated products include cannabis oil, dried cannabis, fresh cannabis, cannabis plants, capitals and seeds. Licensed producers would mail the medical cannabis to “authorized” patients. Cultivation and processing standards will be higher than in Canada. All advertising concerning cannabis is banned. A cultivation license will cost $50,000, about 50 times higher than the country’s per capita income. I have been looking with limited success on the Internet for information on taxes on medical marijuana. I read that a certain country is planning to raise the fees for licenses “because the individuals and companies taking part in the medical cannabis industry will make a huge profit”. Which one is a better approach: levying taxes on medical marijuana (what percentage) or increasing license fees?